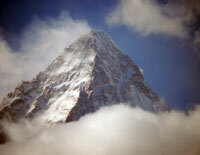 This is the latest audio update from Alan Arnette climbing K2 for Alzheimer's. Please donate generously to support the cause. 100% to the non-profits, none ever to Alan. Alan on K2 Summit Push!